It’s official–I’m in love with homesteading. On our less than half acre urban homestead we have two cats, two goats, and two alpacas and now they’ll soon be bees! I’m finally committed to bee keeping! 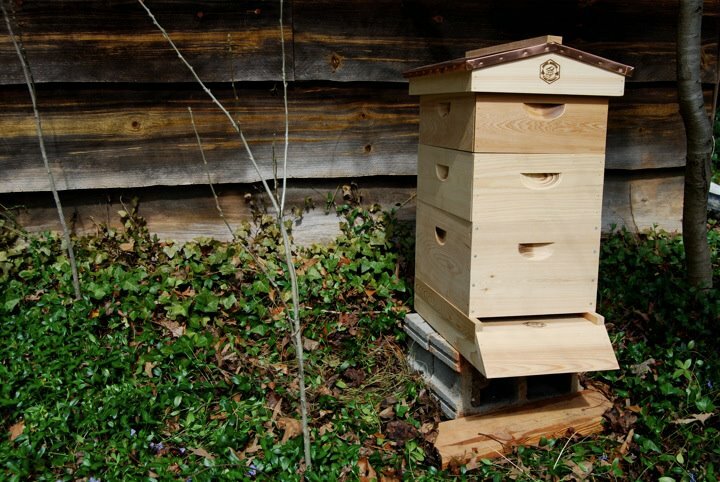 I’ve ordered a top bar hive from Orr Bee Supply and should be able to pick it up from Old Fort in two weeks. Yesterday, I ventured to my old college stomping grounds of beautiful Madison County and reserved bees for the top bar from Wild Mountain Bees. I also came home with a beautiful cypress garden hive that will house my bees from Stuart VanMeter in Henderson County. I’m so excited about this venture! From a fellow bee keeper neighbor to the folks at the Buncombe County Bee School, the vibe of bee keepers is so open and calm. I’m looking forward to cultivating such energy and guarding these special bee-ings (I couldn’t resist:). Here’s a pic of the cypress garden hive. The location is away from the house and animals. The hive is raised on two cinder blocks but still needs to be leveled.